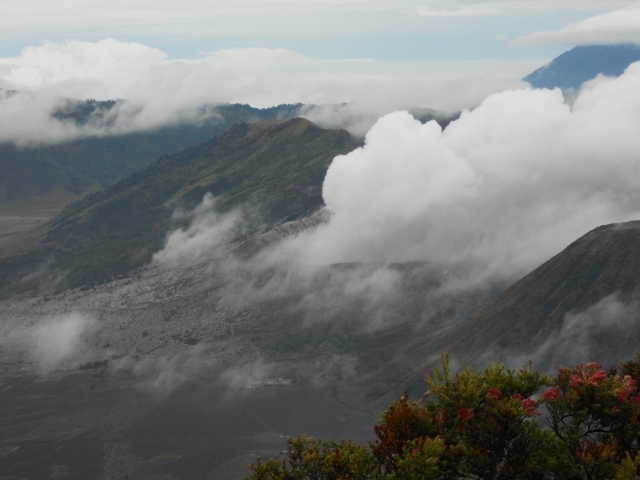 When you’re travelling across Java, the Bromo volcano is one of those must-go-and-see places. So on my last trip to Indonesia, when I was making my way from Yogjakarta to Bali, I stopped off in Cemoro Lewang to see what all the fuss is about. In Yogja I had booked a transfer all the way to Seminyak in Bali which included a detour to the still active volcano. 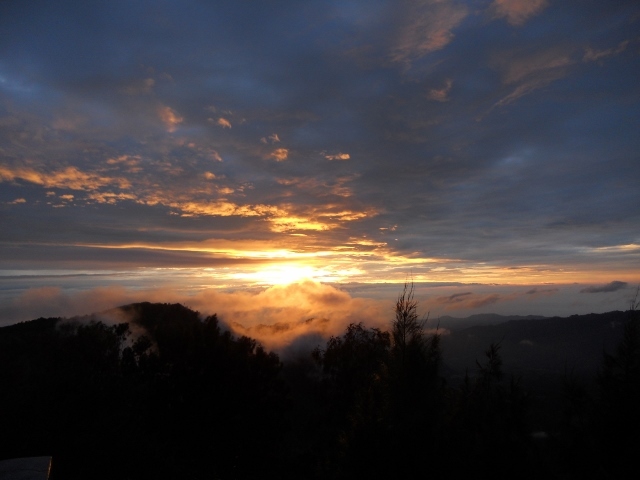 The drive from Yogja to our hotel in Cemoro Lewang took over 14 hours. I was picked up from my hotel in Yogjakarta in the morning and we arrived at the hotel in Cemoro Lewang at around 11pm. I went straight to bed as a 3 am wake up call was next on the itinerary. I was woken up to a freezing, cold room and put on everything I could find in my back-pack, before hopping into the jeep. We drove along dark, windy roads with a couple of other jeeps in tow. After about 45 minutes, the driver parked the jeep and we got out, where even more jeeps started turning up. I bought myself a cup of tea to keep warm and sat down to wait for the sun to appear. It’s funny, when I’d imagined watching the sun rise on my visit to the Bromo Volcano, I certainly hadn’t thought that it would be in the company of hundreds of other tourists. I kept having to get up off my rock to take pictures of them, or posing in them (the joys of being Western in Asia). But I watched the sunrise and tried to ignore the crowds. I’ve seen many a sunrise, but this one was indeed an impressive sight to watch: daylight crept over the massive mount that sits in the middle of an open plain which is also known as the ‘sea of sand’. After the sun had done its trick, we climbed back into the jeep and drove to the sea of sand where we walked towards the volcano and up the stairs to the rim of the crater. 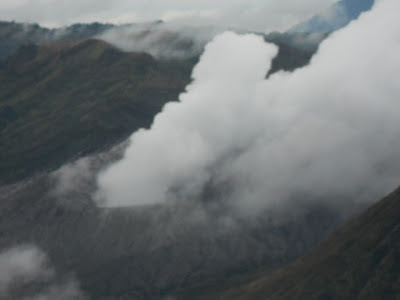 The Bromo is still active and last erupted in 2011, so the smells of sulphur are clearly noticeable. The viewpoint is fenced off but if you walk towards the end of safe area, away from the noise of the other visitors, you can hear the rumbling coming from the insides of the Bromo. We walked down the steps again and had a quick look around the Pura Luhur Poten temple, before jetting off to Bali. In hindsight, I think I would’ve give the Bromo a miss given that it’s such a popular tourist destination, but it was not a bad break from being cooped up in a van on our 36 hour drive from Yogjakarta to Bali.